2019 is officially here, and it’s looking like it could be a huge year for a number of rising UFC stars, such as surging striking sensation Israel Adesanya. Without further ado, here are three UFC fighters we expect to do big things in this new year. Israel Adesanya burst onto the scene in 2018 and went 4-0 in the Octagon. 2019 could be an even bigger year for him. The 29-year-old is set to face an MMA legend in Anderson Silva at UFC 234, and a victory is expected to earn him a title shot against the winner of Robert Whittaker and Kelvin Gastelum’s UFC 234 title fight. 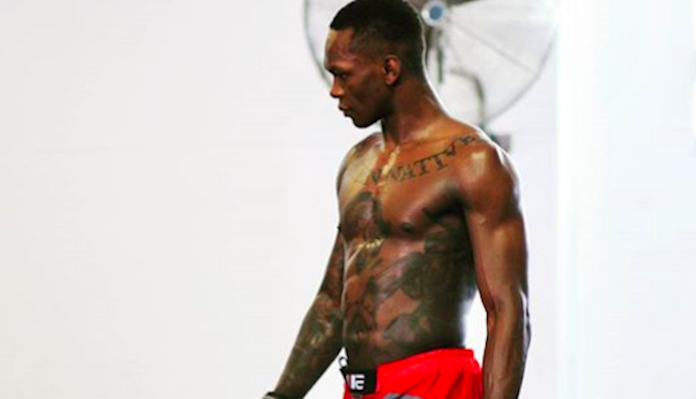 Truly, it would not be surprising to see Israel Adesanya with a UFC belt around his waist by the end of this year. Maycee Barber is chasing Jon Jones. Barber, who is just 20 years old, wants to be the youngest UFC champion ever. She has a countdown on her phone to show her how long she has to accomplish that goal. Barber made her UFC debut in 2018 and had a dominant win over Hannah Cifers. In 2019, she’s ready to take things to the next level. It is very possible that Barber will face a top-15 opponent in her next fight, and a win in such a fight could propel her into the top-10. There’s no reason she can’t realize the same success that Israel Adesanya did in 2018. Zabit Magomedsharipov is a rising star inside the UFC. The Russian phenom has been called a future champion, and 2019 could be the year that he gets his hands on gold. Magomedsharipov is set to take on number six ranked Jeremy Stephens at UFC 235 in March. If he wins this fight, he’ll burst right into the uppermost reaches of the UFC featherweight division, and will probably be just one or two wins away from a title shot. Which fighters do you you think will realize the most success in the year 2019?